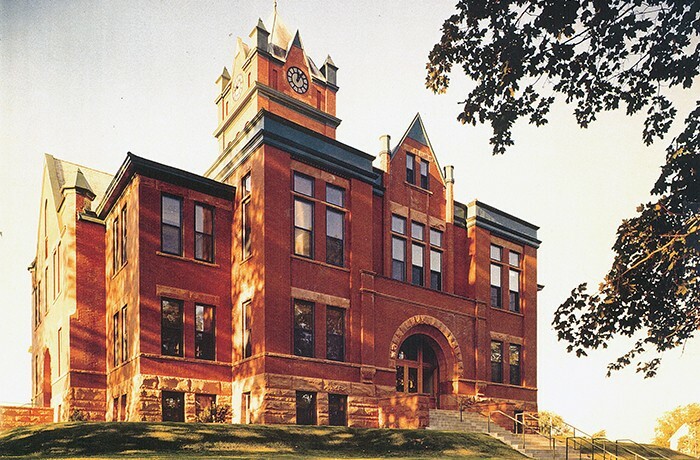 The Grand Traverse County Courthouse was originally constructed in 1889 to house both governmental and judicial functions for Grand Traverse County. HPZS reviewed the feasibility of rehabilitating the Courthouse to accommodate contemporary judicial activities and preserve a local and state landmark. Historical detail ornament was restored, courtroom organization was modernized, and a comprehensive life safety and accessibility program was instituted. The project was given an Annual County Achievement Honor Award by the National Association of Counties.